With a snap parliamentary election to be held in just three weeks in Ukraine, politicians are fighting for the electorate. Russian-Ukrainian relations have become a hot subject again, and the language debate is one of the most divisive in Ukraine. 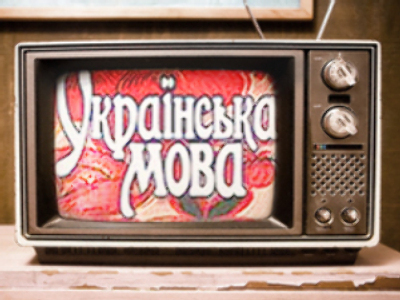 Three million signatures are needed to make Russian the second official language in Ukraine. Pushing for a referendum on this issue, the Prime Minister’s Party of Regions says it shouldn't be a problem with around half the country of 48 million speaking Russian. Russian-speaking Ukrainians complain of discrimination. More than 80 % of schools in the country switched to Ukrainian after the break-up of the Soviet Union. As a result, the Russian-speaking people have almost no chance to educate their children in Russian. Besides, those who grew up in Soviet times find it difficult to fill in forms in government offices and compete for jobs. Tatyana Leshchenko was born and bread in Ukraine. During Soviet times, her family studied Russian at school and conversed in Russian at work. Although she understands Ukrainian, reading and writing in it is not at all easy for her and her family members. “To present a doctoral thesis, my son hired an interpreter. Everybody was laughing when he was reading it in Ukrainian,” she says. Apart from the language issue, the Prime Minister’s party is asking whether Ukraine should join any military alliances. While their rivals are campaigning the opposite. The presidential Our Ukraine party and Yulia Tymoshenko’s Block are convinced that the dominant Ukrainian language and membership in NATO will lessen the Russian influence on this newly independent state.